(TibetanReview.net, Jan19’19) – China’s top law-enforcement official has on Jan 18 called on the country’s police to focus on withstanding “color revolutions”, a nomenclature for popular uprising calling for a democratic change. The police must “stress the prevention and resistance of ‘color revolutions’ and firmly fight to protect China’s political security”, Reuters Jan 18 quoted Public Security Minister Zhao Kezhi as saying, citing a post on his ministry’s website. “(We) must firmly defend our national security, with regime and system security at its core, and firmly defend the leadership of the Chinese Communist Party and our nation’s Socialist system,” Zhao was quoted as saying, addressing the ministry’s annual national meeting. Color revolutions that have occurred in other countries before have often been attributed to foreign influence and Mr Zhao has said the police must also “strike back against all kinds of infiltration and subversive activities by hostile foreign forces”. Like Jiang Zemin and Hu Jintao before him, President Xi Jinping has warned that the country needed to do more to withstand “Western” influence that might undermine party rule. The term “color revolution” came into vogue during popular uprisings that occurred in former Soviet states such as Ukraine that often swept away long-established dictatorial regimes. The report noted that Chinese officials had previously mentioned such uprisings as a warning to their own people about the trouble that might result from overthrowing long-standing governments. The fear of being overthrown by popular uprising remains an obsessive concern of the Communist party of China and possibly underlies the current imperative to empower Xi like no other Chinese leaders after Mao Zedong. 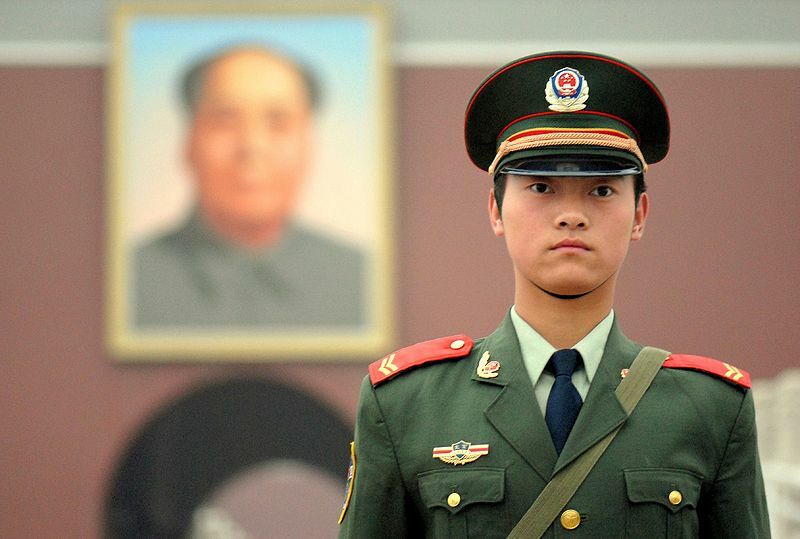 China stopped detailing its domestic security budget in its annual work reports since 2014 when the figure outstripped the military budget three years in a row and was widely reported on by the international media. The report cited analyst as estimating that the spending had continued to soar, with security-related construction tripling in 2017 in the region of Xinjiang, where anywhere from one to two million individuals from Muslim ethnic minorities have been held in camps as part of a so-called “de-radicalization” drive.